U.S. official suggests ISIS took down Russian jetliner with a bomb. Debris from Russian Metrojet Flight 9268, which crashed in the Sinai desert on Nov. 1, 2015. CNN is reporting that the Russian airliner crash that killed all 224 people aboard on Saturday was most likely caused by a bomb, planted on the plane by either ISIS or an ISIS affiliate, according to a U.S. official familiar with the matter. While there is not yet a formal conclusion on the cause, “There is a definite feeling it was an explosive device planted in luggage or somewhere on the plane,” the official told CNN’s Barbara Starr. The official said the assessment was reached by looking back at intelligence reports that had been gathered before and after Saturday’s plane crash, according to CNN. Since the Airbus 321 crashed in the Sinai desert, officials have struggled to determine the cause. Earlier on Wednesday, the British government said that the passenger jet ”may well” have been intentionally taken down by an explosive and announced it was temporarily halting all flights between Britain and the Egyptian resort city of Sharm el-Sheikh where the plane took off. 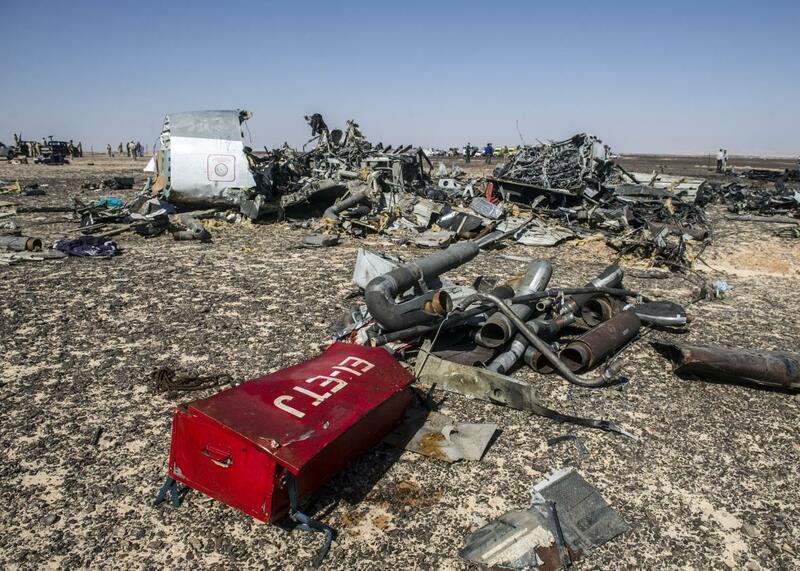 Russian Metrojet Flight 9268 took off from Sharm on Saturday morning. Around 23 minutes after takeoff, the plane, loaded with mostly Russian travelers en route to St. Petersburg, disappeared from radar screens without warning. Russian officials now say that’s when the plane disintegrated in midair, after reaching an altitude of 31,000 feet, over the northern Sinai Peninsula. By the time emergency crews reached the wreckage, they found debris scattered over four miles and passengers still strapped in their seats. So far, 33 bodies have been identified, reports the Associated Press. On Tuesday, U.S. officials told news outlets that a military satellite had detected a “heat flash” just before the plane crashed, suggesting that a “catastrophic in-flight event”—possibly an explosion caused by a bomb or mechanical failure—had downed the plane. A missile was unlikely, the officials said, as it would have left its own separate heat flash as well. Other airlines including Air France and Lufthansa said Saturday that they would stop flying over the Sinai Peninsula as a precaution until further notice. But until Wednesday, British planes had been flying on their usual schedules. There are currently around 2,000 British vacationers stranded at the beach-side resort, according to the BBC.